Last month I stopped at Camilla Hall, the health care and retirement home for Sisters, Servants of the Immaculate Heart of Mary, to visit one of our directors of religious education who is recuperating from surgery. Camilla always strikes me as a step into the past, a “Brigadoon” if you will. Nuns in full-length aprons dart about their charges; “retro” furniture in the parlors looks as good as the day it arrived; and vintage wall school bells still ring to signal a change in schedule. The door opened and we smiled at each other as we parted ways. “I wondered as I wandered” to my destination regarding Sister’s apostolate of card writing. My musing continued as I passed each room with a posting of the retired sister’s name and services. Three “generations” of catechists share time together at a recent orientation for parish directors of religious education, including Ann Menna at center; her college theology professor, Sister Eunice Marie Timoney, I.H.M. (right), who is currently the DRE at SS. Philip and James Parish in Exton and who presented during the orientation; and Mother Incarnation, S.S.V.M. (left), who is Menna’s former theology student and the new DRE at St. Veronica Parish in Philadelphia. Quick math calculated over a century of charity which enveloped me. It hit me that to my left, my right, above, below, behind and in front of me were good and faithful servants whose mission was not quite finished. Some serve actively; others with limitations, contemplatively; all prayerfully journeying to their final destination and praying for others along the way. St. Teresa of Avila reminded us that all things are passing; God never changes. Thanks to my elevator buddy, my observation of long aprons, dated décor and antique bells has passed. Rather God, Emmanuel, permeates this holy place and powerhouse of prayer — yesterday, today and tomorrow. 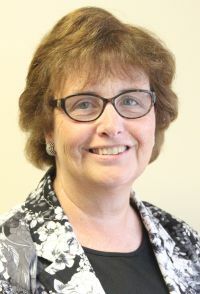 Camilla Hall is just one example among many that houses men and women religious who are courageous witnesses of the faith. Let us remember to give thanks for them and pray for more vocations to enrich the salvific mission of the Church. Ann Menna is deputy secretary for catechetical formation for the Archdiocese of Philadelphia. A very nice article on visiting Camilla Hall at Immaculata College in Immaculata, Pa. near Chester. I have visited this campus a few times to visit my 8th grade teacher, now deceased, and was most impressed by the campus. I went to St. Francis Xavier School, Philadelphia late 40’s and mid-50’s. Presently there are only lay-teachers, I have mentioned to Classmates.com readers that if possible would be great to have former students visit the Sisters who have taught them and are at Immaculata. I think it would be a great thing to let them know that the former students care about them and also to let them see how their fine teaching has benefitted them. 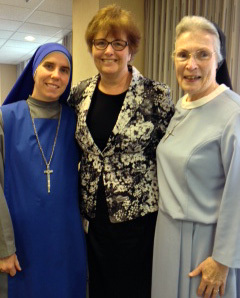 These teaching Sisters have been a great part of my life and given me a fine foundation on which to build my life. Many are old and infirm and this would be good for them. Keeping them in our prayers is another way of honoring them.